Dymphna Cusack‘s A window in the dark has been glaring at me from my TBR pile for many years now. Not being able to stand it any longer, I decided to sneak it in before my next reading group book, Michelle de Kretser‘s Questions of travel. Posthumously published by the National Library of Australia, A window in the dark is Cusack’s chronicle of her teaching years, spanning 1922 to 1943. 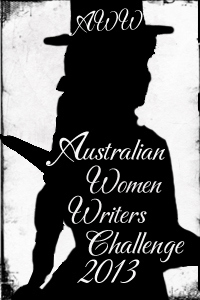 For those who haven’t heard of her, Dymphna Cusack (1902-1981) is an Australian writer best known for her collaborative novel (with Florence James), Come in spinner (1951), and Caddie, the story of a barmaid (1953), which was made into a successful feature film in 1976. According to Debra Adelaide‘s comprehensive introduction, Cusack was not interested in writing her autobiography but, in the mid-1970s, three decades after she finished teaching, she decided to write about this part of her life. While much has changed since 1975/6 when she wrote it (let alone 1944 where the story ends), A window in the dark – “my job was opening a window in the dark for the minds entrusted me” – is an interesting read. It is not, though, a typical writer’s memoir; its focus really is teaching and education. The book is well produced with an excellent introduction and explanation of its genesis by Debra Adelaide (though I would have loved an index). It was prepared from the version included with her papers held by the National Library of Australia. This version is probably the final draft, but Adelaide believes that Cusack would have done more work on it, had it found a publisher. Certainly, it does have some rough edges, but not enough to spoil the content nor to prevent our getting some sense of Cusack as a person, as a writer, and of course as a teacher. Cusack tells the story of her years as a teacher chronologically, starting with university and her decision to accept a bonded Teachers College Scholarship. However, a number of themes run through the book and I’m going to frame the rest of this post through some of them. It was the same in every country town I lived in. An essential part of our history was ignored, whether massacres of whites by blacks or blacks by whites, while we got bogged down in the Hundred Years’ War or the Thirty Years’ War or the Seven Years’ War – all taught with no reference whatever to the basic economic causes underlying them. She was happiest when, for various reasons, she was given non-examination classes to teach. Then she could teach what she thought was useful. A playwright herself, she was renowned for her drama classes, and the school plays she produced. politically and socially the most advanced country in the world … should by the middle twenties be bogged down into a morass of social and sectarian bigotry and educational conservatism. Cusack became convinced of the “wickedness of our economic system”, which could not fund milk for children of unemployed parents but could, somehow, find the “money for everything for war”. She abhorred the power those with money had over others. She became unpopular with the Department of Education for her outspokenness on social and economic justice issues, and was particularly critical of the treatment of “that much-maligned creature, the woman teacher”. So said BHP’s Newcastle manager Keith Butler to Cusack in 1943 as he offered to pay for a novel about Newcastle and the steelworks. Not surprisingly, Cusack would have none of it. She did, however, write her novel, titled Southern steel (1953), and it was, apparently, a positive portrayal. Cusack wrote throughout her teaching career – mostly plays, many of which were performed on the ABC but only some of which have ever been published. She tackled tricky-for-her-times issues such as racism, workers conditions’ and war. Her second novel, Jungfrau (1936), which explored young women, their sexuality and abortion, was runner-up in the Bulletin’s S. H. Prior memorial prize. It was shocking for its time. And yet, she must have known, for she stuck to teaching through years of ill-health and poor treatment by those in power. She did it, partly of course to support herself, but partly too because she loved her students. She was still receiving thankyou letters from them in her last years. That surely says something. Why, though, read a book written in the mid-1970s about education in the 1920s-40s? It is not, after all, a memoir, so there are gaps in the story of her life – particularly in terms of her significant relationships. And while she mentions some of the plays and novels she wrote during the time, she does this mostly in relation to something happening in her teaching life. Moreover, it’s not particularly interesting in terms of form. That is, she doesn’t play, as some writers do when writing non-fiction, with narrative style or voice or perspective. Yet, there are reasons for reading it. It works as social history and a history of education. It provides insight into the development of her political philosophy and social values. It shows off her skills as a writer, particularly her ability to evoke people and place. And, for all its seriousness, it contains many entertaining anecdotes. I’m so glad I finally read what turned out to be a fascinating book about (and by) a compassionate, funny and feisty woman whose intelligence is displayed on every page. Would that every child had teachers like this. Sounds like a goo ‘un. I’d never heard of this author before. I like the sounds of the book about the barmaid. Ha, you would, Guy! And, it was made into a pretty good film during our second film renaissance (1970s) when we were on a roll with nostalgia pieces. Caddie is short for Cadillac (in the novel). I’ve just downloaded Jungfrau onto my kindle but when I’ll get to read it, who knows. WG: How my heart thrilled with your review. Long a favourite writer – if at times I found some of her tales a bit gothic – but she didn’t fear dealing with the uncomfortable issues of her times – racism in particular for me – and she never resolved the issues by seeking to close the matter with a death of one or other of the protagonists (thereby “burying” serious confrontation). I grew up in Tamworth where a childless couple three doors along gave much kindness and Sunday evening television – with cakes and tarts – to my little brother and me – till I went away to university. The wife’s father was a CUSACK first cousin to Dymphna. A mate of mine who grew up in West Wyalong – where Dymphna’s father had the True Blue gold-mine around the turn of the 19th/20th century – has Dymphna’s father’s desk. I am now about to search for Dymphna’s book. Thanks! Oh thanks Jim … I have a friend who spent most of his youth in West Wyalong but way after Cusack was there of course. Thanks for all that about Shoin … I think I noticed that “shoin” is in your email address? I guess, of course, that it had something to do with Japan but now I understand. It’s a fascinating story you tell about him because of that very hierarchical sense we have of Japanese society in general. I love how there are always the renegades, the ones who think outside the box. It sounds like she and he had very similar viewpoints. I think you’ll enjoy the book immensely – and hopefully libraries will have it, if not bookshops. It’s full of wonderful “stuff”. Indeed, if only every teacher were as passionate. I think they start off that way, no goes into teaching without being passionate about it in some way. But then something happens along the way to so many good teachers. Instead of focusing on pay based on performance and teacher education in the US at least, the government should be paying more attention to the reasons teachers lose their drive and passion and do something about that. This sounds like a good book and worthwhile. Good teaching is good teaching no matter what time period it takes place in. You are so right. Our son is a teacher … A keen and enthusiastic one … But I can see him losing his zeal this year. While he’d like more pay that’s not the issue. It’s student and parent management that is the problem … Difficult students combined with difficult parents, and professional development that focuses on, say, first aid or teaching Asian studies, rather than on teaching methodology … It’s really tough foe new teachers. This is his fourth year and he’s in what you’d call a pretty easy area but it’s not easy. I appreciate Cusack’s compassion and social activism in her fight for equality for women and the impoverished… but my main issue with her stance, and many here in Canada too nowadays, is that the ‘academic’ content in school is only suitable for those going to university, while the rest, the majority, should be trained in more ‘practical’ work-based skills and technology. I totally disagree with this. What’s wrong with the oilfield worker knowing a little European history, or being exposed to some Shakespeare? Or contemporary literature? The underlying presumption is in itself erroneous. These are not or should not be ‘middle class’ exclusivities. The humanities subjects are also important for those going for the vocational stream. As the term refers to, it’s the essence of being human. I can go on and on, but I spare you of my rants. It’s just that the whole faculty of fine arts here at the U. of Calgary had been dissolved in recent years, and where junior high students (when my son was at that time choosing which high school to attend) were discouraged to go to academic high school, instead ‘lured’ into vocational options to be trained for work. The appeal to these young people was the economic factor, and the social value of ‘doing’ being superior to ‘thinking’, and, science and technology override humanities and the arts. And it’s always the humanity depts. that got the brunt of the cut, while the sciences and engineering etc. were spared or even increased in their fundings. Oh thanks Arti … you are right, and I think Cusack would agree pretty much too. She believed, for example, very strongly in the value of drama, of studying and acting plays (including Shakespeare). She believed students should read and discuss literature and, when she had non-examination classes, she discussed with them what they should read (not that they wouldn’t read at all). What she didn’t like was the fact that the curriculum did not go past the end of the nineteenth century in England, that they were living through the rise of Hitler but learning nothing about it, they they were living in a country where major confrontation had occurred between the indigenous inhabitants and the settlers but they didn’t even know, that Asia was becoming significant to life in Australia but they were taught nothing about it. So, she wasn’t so much about “dumbing down” and ignoring the arts and humanities as about making them relevant to students’ lives. 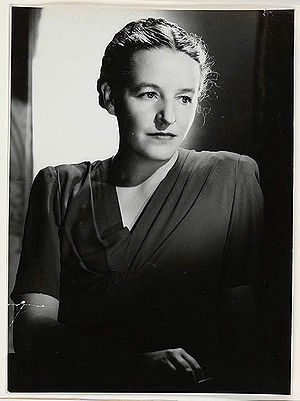 Dorothy GREEN (Australian Lit. critic) said one learns best by proceeding from what is local and known, by degrees – to that which is more-and-more distant and unknown – Shirley HAZZARD (The Transit of Venus) wrote of it as proceeding from the kookaburra to the nightingale. Some 30 years or more ago I was working in an educational unit – curriculum, policy – with some space for reflective thinking and action research. About the use of stories and poetry which were a mirror in some way to the lives and experiences of the children/young people for whom I had some responsibilities. Of being an immigrant or refugee to Australia; of cultural difference – of emerging into English from other linguistic backgrounds – of aspects of Australian history and geography – this new land – of finding one’s experience (as individual and unique as it was) in some ways as one with all those others whose antecedents had also made the journey from across the seas. (Statistics now suggest around 26% of Australians were born overseas.) There were some writers who made this vision so enlightening that eventually I gathered lots of the pieces into a paired companion of books for OUP – even as I was moving towards involvement in Japan and Japanese! (Yes, my e-mail address is for YOSHIDA Shoin, WG!) Some of the more significant writers: Angelo LOUKAKIS, Judah WATEN, Martin BOYD, Gillian BOURAS, Morris LURIE, Eric Otto SCHLUNKE, Yasmine GOONERATNE, Beverly FARMER, Gwen KELLY, Brian CASTRO, Maria LEWITT, Lolo HOUBEIN, Vasso KALAMARAS, Mary Rose LIVERANI, Joanna LAFEBRE, David MALOUF, David MARTIN, Jimmy SADELI, Ronald McKIE, Rex INGAMELLS, Jack DAVIS, Oodgeroo NOONUCCAL, jas h. duke, jeltje, Pi O, Peter SKRZYNECKI, Archie WELLER, Andras DEZSERY, Paolo TOTARO, Sally MORGAN, Ania WALWICZ, Tess van SOMMERS, Thomas KENNEALLY, Timoshenko ASLANIDES … and many more. And all of this of writers significant by the mid-1980s. I opened up about my own life with students to further illustrate the cultural and historical aspects alluded to, for example in Ronald McKIE’s The Mango Tree – which I read with senior students mostly from various parts of south-east Asia – who when we finished reading then wrote to the author – who replied – and a couple of us later visited him – as did my students who read Colin THIELE’s The Sun on the Stubble (rural South Australia – German background) – who similarly wrote back. In another context so did Ian SERRAILLIER (from England – his classic anti-war book for middle school age students The Silver Sword) and Roald DAHL from the UK (re Danny, the Chapion of the World) – and from South Australia with her book Space Demons, Gillian RUBINSTEIN – young people entering (literally – SF) the murky ethical world within computers – finding the moral pathways leading to rescue/deliverance – like all good books – who wrote a marvellously detailed letter of reply naming every student and responding sensitively to all their questions. I am not speaking only of the academically advanced classes here. Gillian now writes books – fantasy and historically based – set in Japan – in fact the Tales of the Otori are set in a fantasy mediaeval Japan based exactly on where I formerly lived for many years – as well as another which largely deals with my hero YOSHIDA Shoin and the emergence of modern Japan in the mid to latter 19th century called Blossoms & Shadows. Margaret SHARPE – who wrote the charming middle school appropriate The Traeger Kid – actually came to visit us. When I taught English (literature/writing) through the 1980s, early 1990s here in Australia – and further at matriculation level in a Japanese high school – my aim was not to “teach” plot and characterisation and setting and tone and mood – but rather that we find the story – its flow if you will – and enter into it – grow with the characters – find those with whom we identified and why and what it was that made the story appeal to us. One we turned into a film. From others we constructed maps – built board games – wrote letters – engaged with it in ways which were not alienating. Arti of Alberta – yes, there is every need for all our young people to know stories and history and not fear either – and not be steered into purely vocational trades courses. Recently I spent some days relief teaching. A Year 11 class (young people on the edge of adulthood turning 17 during the year). I assumed keen to learn – thought it would be enjoyable – even for me the unknown relief teacher. What I found was a class of students resentful of having to be at school (in recent years compulsory till age 17) and certainly not interested (for the large part – and so it seemed to me) in having to do some thinking or writing. Despite my best efforts at creating a quiet space for the exercise left for them to be completed – a core of lads were determined to spray the room with expletives – and – as a friend later explained is a current phenomenon – “bouncing” around the room away from their desks – one scratching grooves into a white board – and later before my very eyes destroying a noticeboard – somehow knocking it away from the screws which held it into the upper wall. I was flabbergasted. Year 11. Clearly resistant to programs designed to permit them to enter life at a minimally functioning level of form-filling – with none of the finer insights available from knowing their world via writing or reading. Possibly functionally illiterate – those who wrote nothing at all! Sad. WG – there are great young people and fine colleagues in every school – your son has no doubt come across those already for whom his concern and from whom he will draw that strength – the girding of his loins as it were – to continue in this profession which I believe is the most important. For me it was only through my fifth year that I knew truly that it was my profession. Other doorways and pathways do beckon through one’s 20s and early 30s – I understand – but my own teaching/educational pathway is not a road broad and straight – there have been many rural roads and walking tracks as well as centre-of-town locations in my own paedagogical journey – making it ever-changing in setting – if not of fundamental objective. Great stuff, Jim. I’ve read Transit of Venus, but don’t recollect that quote about proceeding from the kookaburra to the nightingale. On a completely different tack, I’m currently reading Michelle de Kretser’s intriguing and, to be cliched I suppose, thought provoking Questions of travel. It’s been making me think about travel and tourism, about assumptions, expectations and goals. Anyhow, one of the things that Aussies tend to do, that I don’t really agree with, is to travel the world when young and save their own country for later. That’s all based on the idea that “while I’m fit and healthy” I’ll go overseas, but I think it’s a bit cockamamie. We surely have time to do both. And, I think it’s really embarrassing to go overseas and be told by Germans or Americans or Japanese how wonderful Uluru is but to never have seen it yourself, because you’re saving it up. Proceed from the local, I reckon, works for travel too. A digression I know … meanwhile, I’m sorry to hear about your recent teaching experience, and hope you’re right about my son. He’s got a lot to offer. WG: Quite right to question me (gently so) re Shirley HAZZARD (must have been my mis-direction from Dorothy GREEN – married to HMG – to whom Dymphna makes reference). In the back of my mind was the following from Shirley HAZZARD demonstrating that brilliant disconnect between the subject matter for study and the place of students doing the study – and about which DC herself made much complaint! You might recite it in Elocution Class, but could hardly have it in English poetry. It was as if the poet had deliberately taken the losing, and Australian, side. He had grasped the nettle. But a nettle grasped remains a nettle, and grasping it an unnatural act. What was natural was hedgerows, hawthorn, skylarks, the chaffinch on the orchard bough. You had never seen these but believed in them with perfect faith. As you believed, also, in the damp, deciduous, and rightful seasons of English literature and in lawns of emerald velours, or in flowers that could only be grown in Australia when the drought broke and with top-dressing. Literature had not simply made these things true. It had placed Australia in perpetual, flagrant violation of reality. The Transit of Venus: start of Chapter Five. So put Dorothy GREEN into the picture for my reference to from Kookaburra to Nightingale! I agree re travels in this land and travels abroad. In the early-mid 1970s my wife and I had travelled most of Australia (by car). And abroad – so both while young. Not one while young – and the other when aged/retired. Though opportunities for many may be different – so I don’t generally make comment. Four years ago just prior to returning to Australia I walked the famous 88-temple 1200+km pilgrimage around the Japanese island of Shikoku. In traditional style. Many have written about the walk – those relatively minuscule number who actually walk – compared to those who find infirmities afflicting their legs by the time they reach retirement make taking the pilgrimage something they must do with a coach group or by private vehicle. Some folk get caught up in pondering on which/who is the real pilgrim – the one alighting in pristine traditional garb from a coach in the temple car-park – or the perspiration drenched/ruck-sack carrying dusty walker! In my opinion – both. It’s what’s in the heart which counts. Having said that and back to Australia – I want my fellows to know this extraordinary land – its beautiful vistas and its Indigenous presence and its equally richly re-shaped post-1788 landscapes (if not totally destructive, mind)! To then go abroad and relate their travels through Italy, for example, to Mareeba in far north Queensland or to Griffith in south-west NSW or to Leichhardt in Sydney or equivalent parts of Melbourne. Or when in China to link those who came from there to here to timber clearance for farming in the NSW Riverina or to tin-mining in the Inverell region – of course to gold-mining across Australia – or fishing – or to writers such as Brian CASTRO or via Jindyworobak Rex INGAMELLS to Cheng Ho (who may have touched on Australia’s northern coast over 600 years ago) or Harry CHAN – the Lord Mayor of Darwin of Chinese ethnic background. And so on! The Japanese have an expression for those who ignore the local (in the shadow at the base of the light-house) in favour of looking afar – towards the furthest reach of that light-house beam – for their delight – ignorant of what makes their own place special and full of delight. As if what is local is second-rate – or worse – to be despised. Years ago when teaching at Nelson Bay HIgh I took on sports afternoon a group of team-sport misfits for what was called – euphemistically – hiking. But in fact hike we certainly did – on any Wednesday afternoon there-and-back a good five or six to seven kilometres – climbing to the hight points overlooking the Pacific and the inner harbour. All the time I was pointing out evidence of the local Indigenous Worimi historical “canoe trees” or other cultural remains. Merv LYNEHAM – a much-respected local environmentalist – who understood every plant and tree – and location in that place – occasionally came along for part of our walking route to explain about those plants – how they were once traditionally used – and so forth – encouraging pride in those young people in my charge for their home-town – including, especially so, the couple of Indigenous students who were part of the group – and – coincidentally so – I later discovered – distantly linked to me via one of my Indigenous cousins. The relief teaching experience I can cope with (not unknown to relief teachers – to be treated by [some] students with scant respect – since the relief teachers may never again be encountered) – my concern that some such students may not grow up in time to find the educational pathway they need to get themselves back into meaningful, contributive, participatory life – with the kinds of qualifications necessary. I will be back at that school to-morrow! Perhaps with increasing visibility will come the idea that I am part of the regular landscape – to be seen as part of the continuity!? Oh, I wasn’t questioning you Jim so much as my own faltering memory! I’m gad though that my comment resulted in your further discussion. I have just one thing to say about the impact of Northern Hemisphere literature and that is that it was a long time before I realised that not all birds fly south for the winter! I love your hiking trips with your non-sporty students. Yes, but why do young people think that someone they may not see again doesn’t deserve respect. Don’t all human beings deserve respect (at least until you find out that they don’t, but most do, even if you may not like them or think they are boring. They need to learn EMPATHY!) I’m afraid I was always a polite child (read “square” I suppose) and could never see sport in being rude to others. I wish you luck … increasing visibility should help.